In the winter of 2007, my Grandpa Hayes passed away from a terrible disease called ALS. It was one of those moments that happened so fast, no one was ready for it. 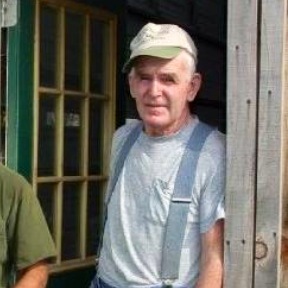 He was a dairy farmer, working day in and day out, and in all the years I knew him, he never took a day off. He even looked like a farmer. Always dressed in jeans and flannels, and never forgetting his John Deere hat. He carried around a pocket knife that he’d use in the barn and always would tease me that he would cut off a piece of my long curly hair to put on one of the cows. Of course he never did, but as a kid I was always nervous one day I’d be missing a curl. 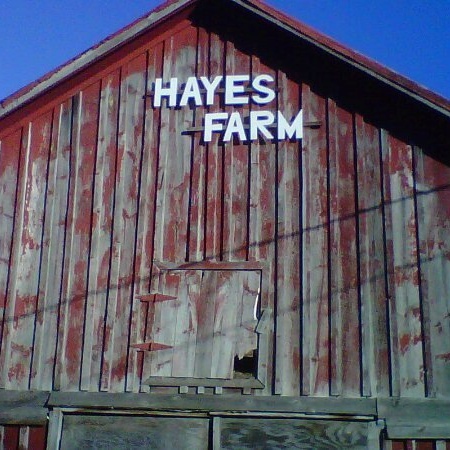 When he passed away, John Hayes not only left behind a huge family, he left behind a farm filled with dairy cows, other farming equipment, and an unforgettable legacy. What I’m getting at is… This disease is a chronic, life changing, disease that slowly destroys a person’s nerves and leaves them paralyzed and in pain. Death can come suddenly , as in my Grandpas case, or prolonged. Either way, this illness is devastating. I would like to just thank those of you who have participated in the #IceBuketChallenge. In the short two weeks that the challenge has been taking place, The ALS Association has received $22.9 million — that’s $3.5 million more than the charity received for ALL of 2012 (check the figures and years on this). Not only has this movement raised more money in a few weeks than it did all of last year, it is raising awareness for a disease many people still know very little to nothing about. These past few weeks, more than ever, I have been hearing the question “What is ALS?” and I do my best to give an explanation so that people may better understand what this challenge is all about. As a member of a family who has directly affected by ALS, I am here to say that I am so proud of how this challenge has spread across the country. While The ALS Association benefits greatly from your donations, simply spreading awareness about this disease to hundreds of thousands of people serves an amazing purpose as well. Every single day, families across the globe are forced to witness and try and care for their loved ones suffering from this horrible disease. So thank you to all of you who have contributed time out of your day to participate, and thanks to all of those who have donated to the cause as well. I’d like to encourage everyone to continue in this campaign, and together, we will one day be able to #StrikeOutALS.